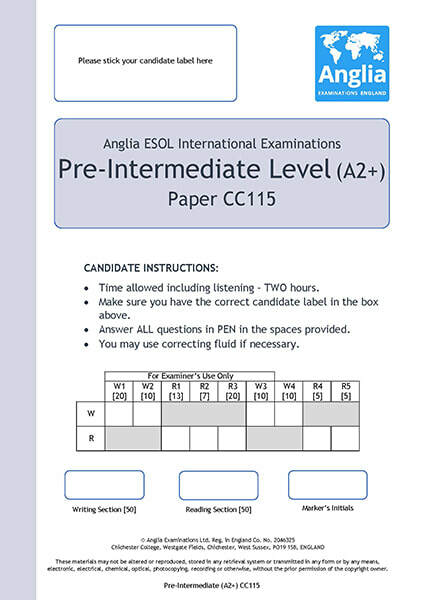 Pre-Intermediate level - WELKOM BIJ ANGLIA! 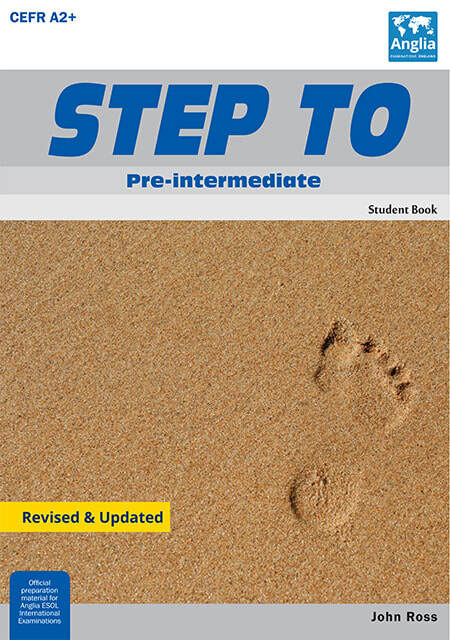 Maak een oefenexamen of klik op een van de Grammar Points (GP's) om specifieke onderdelen van het Anglia Pre-Intermediate examen te oefenen. Klik op de afbeelding om het Pre-Intermediate oefenexamen te openen. Hieronder vind je een goed voorbeeld essay op Pre-Intermediate level. Talking about a process. Omitting the active subject. - The best computer games are made in Japan. - The new church was built last year. - If I worked harder, I would get higher marks. - If I won some money, I would buy a new car. - I enjoy learning English. - I hate eating spaghetti. Prepositions as used in some very common phrasal verbs and prepositional phrases. - You must put on a hat if you go out in the sun. - I am very fond of my pets. For and since More adverbs of frequency, manner, time or degree. Expressing time periods from a point in the past, relating them to the present.Describing how often, when, how, and how much people do something. - I have lived in this house for five years. - I haven't swum in the sea since last summer. - That bird rarely visits Britain. Expressing concurrence with a positive or a negative statement. I don't like playing computer games. Neither do I.
I like eating chocolate.So do I.